Exoplanet Fomalhaut b (Dagon), 25 light-years away, with its parent star Fomalhaut blacked out, as pictured by Hubble in 2012. There are 3,976 known exoplanets, or planets outside our solar system that orbit a star, as of February 1, 2019; only a small fraction of these are located in the vicinity of the Solar System. Within 10 parsec s (32.6 light-year s), there are 57 exoplanets listed as confirmed by the NASA Exoplanet Archive. [a]  Among the over 400 known stars within 10 parsecs, [b]  30 have been confirmed to have planetary systems; 51 stars in this range are visible to the naked eye, [c]  nine of which have planetary systems. Ross 128 is a red dwarf in the equatorial zodiac constellation of Virgo, near β Virginis. The apparent magnitude of Ross 128 is 11.13, which is too faint to be seen with the unaided eye. 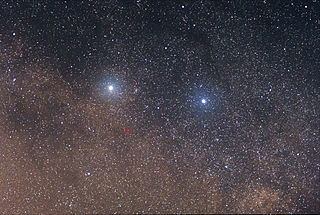 Based upon parallax measurements, the distance of this star from Earth is 10.89 light-years, making it the twelfth closest stellar system to the Solar System. It was first cataloged in 1926 by American astronomer Frank Elmore Ross. YZ Ceti is a red dwarf star in the constellation Cetus. Although it is relatively close to the Sun at just 12 light years, this star cannot be seen with the naked eye. It is classified as a flare star that undergoes intermittent fluctuations in luminosity. YZ Ceti is about 13 percent the mass of the Sun and 17% of its radius. Epsilon Indi is a star system approximately 12 light-years from Earth in the constellation of Indus consisting of a K-type main-sequence star, ε Indi A, and two brown dwarfs, ε Indi Ba and ε Indi Bb, in a wide orbit around it. The brown dwarfs were discovered in 2003. ε Indi Ba is an early T dwarf (T1) and ε Indi Bb a late T dwarf (T6) separated by 0.6 arcseconds, with a projected distance of 1460 AU from their primary star. Deuterium is one of two stable isotopes of hydrogen. The nucleus of deuterium, called a deuteron, contains one proton and one neutron, whereas the far more common protium has no neutron in the nucleus. Deuterium has a natural abundance in Earth's oceans of about one atom in 6420 of hydrogen. Thus deuterium accounts for approximately 0.0156% of all the naturally occurring hydrogen in the oceans, while protium accounts for more than 99.98%. The abundance of deuterium changes slightly from one kind of natural water to another. SDSS J1416+1348 is a nearby wide binary system of two brown dwarfs, located in constellation Boötes. The system consists of L-type component A and T-type component B. WISE 1541−2250 is a sub-brown or brown dwarf of spectral class Y0.5, located in the constellation Libra at approximately 18.6 light-years from Earth. This object received popular attention when its discovery was announced in 2011 at a distance estimated to be only about 9 light-years, which would have made it the closest brown dwarf known.. It is not the farthest known Y-type brown dwarf to Earth. 25-32.6 ? ? 8 ? "Exoplanet Catalog". The Extrasolar Planets Encyclopaedia . Full table. "Exoplanets Data Explorer". Exoplanet Orbit Database. California Planet Survey. Click the "+" button to visualize additional parameters. "Open Exoplanet Catalogue". Click the "Show options" to visualize additional parameters. ^ Exoplanet naming convention assigns uncapitalized letters starting from b to each planet based on chronological order of their initial report, and in increasing order of distance from the parent star for planets reported at the same time. Omitted letters signify planets that have yet to be confirmed, or planets that have been retracted altogether. Fomalhaut, also designated Alpha Piscis Austrini is the brightest star in the constellation of Piscis Austrinus and one of the brightest stars in the sky. It is a class A star on the main sequence approximately 25 light-years (7.7 pc) from the Sun as measured by the Hipparcos astrometry satellite. 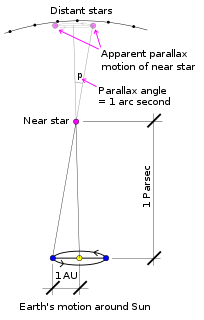 Since 1943, the spectrum of this star has served as one of the stable anchor points by which other stars are classified. It is classified as a Vega-like star that emits excess infrared radiation, indicating it is surrounded by a circumstellar disk. Fomalhaut, K-type main-sequence star TW Piscis Austrini, and M-type, red dwarf star LP 876-10 constitute a triple system, even though the companions are separated by several degrees. HD 187123 is an 8th magnitude G-type main sequence star located approximately 150 light-years away in the constellation of Cygnus. Like our Sun, it is a yellow dwarf. Being at a distance of about 160 light-years it is not visible to the unaided eye. However, it should be easy target with binoculars or small telescope. WASP or Wide Angle Search for Planets is an international consortium of several academic organisations performing an ultra-wide angle search for exoplanets using transit photometry. The array of robotic telescopes aims to survey the entire sky, simultaneously monitoring many thousands of stars at an apparent visual magnitude from about 7 to 13. Gliese 436 b is a Neptune-sized exoplanet orbiting the red dwarf Gliese 436. It was the first hot Neptune discovered with certainty and was among the smallest-known transiting planets in mass and radius, until the much smaller Kepler exoplanet discoveries started coming in by 2010. A hot Neptune or Hoptune is a type of giant planet with a mass similar to that of Uranus or Neptune orbiting close to its star, normally within less than 1 AU. The first hot Neptune to be discovered with certainty was Gliese 436 b in 2007, an exoplanet about 33 light years away. Recent observations have revealed a larger potential population of hot Neptunes in the Milky Way than was previously thought. Hot Neptunes may have formed either in situ or ex situ. Fomalhaut b, also known as Dagon, is a confirmed, directly imaged extrasolar object and candidate planet orbiting the A-type main-sequence star Fomalhaut, approximately 25 light-years away in the constellation of Piscis Austrinus. The object was initially announced in 2008 and confirmed as real in 2012 from images taken with the Advanced Camera for Surveys (ACS) on the Hubble Space Telescope and, according to calculations reported in January 2013, has a 1,700-year, highly elliptical orbit. It has a periastron of 7.4 billion km and an apastron of about 44 billion km. 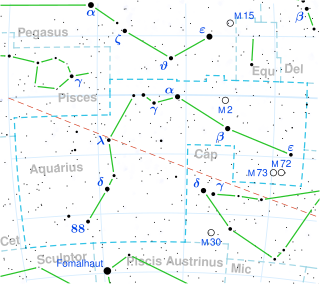 As of May 25, 2013 it is 110 AU from its parent star. HR 8799 c is an extrasolar planet located approximately 129 light-years away in the constellation of Pegasus, orbiting the 6th magnitude Lambda Boötis star HR 8799. This planet has a mass between 5 and 10 Jupiter masses and a radius from 20 to 30% larger than Jupiter's. It orbits at 38 AU from HR 8799 with an unknown eccentricity and a period of 190 years; it is the 2nd planet discovered in the HR 8799 system. Along with two other planets orbiting HR 8799, this planet was discovered on November 13, 2008 by Marois et al., using the Keck and the Gemini observatories in Hawaii. These planets were discovered using the direct imaging technique. In January 2010, HR 8799 c became the 3rd exoplanet to have a portion of its spectrum directly observed, confirming the feasibility of direct spectrographic studies of exoplanets. Kepler-296e is a confirmed Earth-sized exoplanet orbiting within the habitable zone of Kepler-296. The planet was discovered by NASA's Kepler spacecraft using the transit method, in which the dimming effect that a planet causes as it crosses in front of its star is measured. NASA announced the discovery of the exoplanet on 26 February 2014. OGLE-2007-BLG-349(AB)b is a circumbinary extrasolar planet about 8,000 light-years away in the constellation of Sagittarius. It is the first circumbinary exoplanet to be discovered using the microlensing method of detecting exoplanets. ↑ Harrington, J. D.; Villard, Ray (2013-08-01). 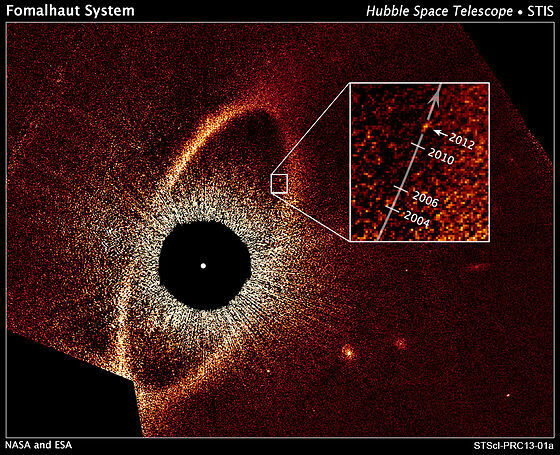 "NASA's Hubble Reveals Rogue Planetary Orbit For Fomalhaut". NASA. Archived from the original on 2015-11-06. Retrieved 2015-09-18. ↑ Schneider, Jean. "Interactive Extra-solar Planets Catalog". The Extrasolar Planets Encyclopaedia . Exoplanet.eu. Archived from the original on 2012-02-08. Retrieved 2018-03-20. 1 2 3 "NASA Exoplanet Archive—Confirmed Planets". NASA Exoplanet Science Institute. California Institute of Technology. Retrieved 2018-03-22. ↑ "Stars within 10 parsecs". Solstation.com. 2014-04-25. Archived from the original on 2017-10-26. Retrieved 2018-03-22. ↑ Powell, Richard (2006). "Stars within 50 light years". An Atlas of the Universe. Archived from the original on 2014-06-27. Retrieved 2014-05-17. ↑ Sessions, Larry; Byrd, Deborah (2017-09-22). "Fomalhaut had first visible exoplanet". Earthsky.org. Archived from the original on 2018-03-26. Retrieved 2018-03-15. 1 2 3 4 5 6 7 8 9 "The Habitable Exoplanets Catalog". Planetary Habitability Laboratory. University of Puerto Rico in Arecibo. 2015-09-01. Archived from the original on 2016-01-09. Retrieved 2015-09-17. 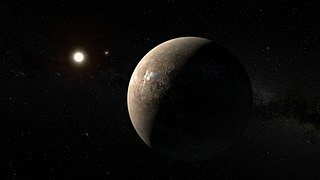 1 2 "Final Results of NameExoWorlds Public Vote Released" (Press release). International Astronomical Union. 2015-12-15. Archived from the original on 2018-05-15. Retrieved 2018-03-17. ↑ "Proxima Cen". NASA Exoplanet Science Institute. California Institute of Technology. Retrieved 2018-03-22. ↑ Ribas, I.; Tuomi, M.; Reiners, A.; Butler, R. P.; Morales, J. C.; Perger, M.; Dreizler, S.; Rodríguez-López, C.; González Hernández, J. I.; Rosich, A.; Feng, F.; Trifonov, T.; Vogt, S. S.; Caballero, J. A.; Hatzes, A.; Herrero, E.; Jeffers, S. V.; Lafarga, M.; Murgas, F.; Nelson, R. P.; Rodríguez, E.; Strachan, J. B. P.; Tal-Or, L.; Teske, J.; Toledo-Padrón, B.; Zechmeister, M.; Quirrenbach, A.; Amado, P. J.; Azzaro, M.; Béjar, V. J. S.; Barnes, J. R.; Berdiñas, Z. M.; Burt, J.; Coleman, G.; Cortés-Contreras, M.; Crane, J.; Engle, S. G.; Guinan, E. F.; Haswell, C. A.; Henning, Th. ; Holden, B.; Jenkins, J.; Jones, H. R. A.; Kaminski, A.; Kiraga, M.; Kürster, M.; Lee, M. H.; López-González, M. J.; Montes, D.; Morin, J.; Ofir, A.; Pallé, E.; Rebolo, R.; Reffert, S.; Schweitzer, A.; Seifert, W.; Shectman, S. A.; Staab, D.; Street, R. A.; Suárez Mascareño, A.; Tsapras, Y.; Wang, S. X.; Anglada-Escudé, G. (2018). "A candidate super-Earth planet orbiting near the snow line of Barnard's star" (PDF). Nature. Springer Nature America, Inc. 563 (7731): 365–368. doi:10.1038/s41586-018-0677-y. ISSN 0028-0836. OCLC 716177853. ↑ "eps Eri". NASA Exoplanet Science Institute. California Institute of Technology. Retrieved 2016-04-23. ↑ "eps Eridani c". The Extrasolar Planet Encyclopaedia. Exoplanet.eu. Archived from the original on 2014-02-23. Retrieved 2014-05-17. ↑ "Ross 128". NASA Exoplanet Science Institute. California Institute of Technology. Retrieved 2018-03-22. ↑ "tau Cet". NASA Exoplanet Science Institute. California Institute of Technology. Retrieved 2018-03-22. 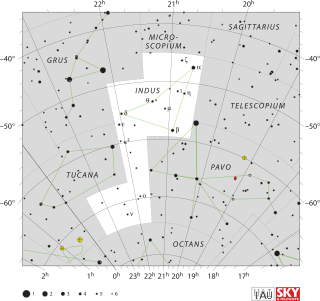 ↑ "tau Ceti". Open Exoplanet Catalogue. Archived from the original on 2014-03-14. Retrieved 2014-05-17. ↑ "tau Cet b". The Extrasolar Planet Encyclopaedia. Exoplanet.eu. Archived from the original on 2017-11-07. Retrieved 2018-03-22. ↑ "tau Cet c". The Extrasolar Planet Encyclopaedia. Exoplanet.eu. Archived from the original on 2017-12-01. Retrieved 2018-03-22. ↑ "tau Cet d". The Extrasolar Planet Encyclopaedia. Exoplanet.eu. Archived from the original on 2017-12-01. Retrieved 2018-03-22. ↑ "YZ Cet". NASA Exoplanet Science Institute. California Institute of Technology. Retrieved 2018-03-22. ↑ "YZ Cet e". The Extrasolar Planet Encyclopaedia. Exoplanet.eu. 2017-08-15. Archived from the original on 2018-03-19. Retrieved 2018-03-22. ↑ "GJ 273". NASA Exoplanet Science Institute. California Institute of Technology. Retrieved 2018-03-22. ↑ "Kapteyn". NASA Exoplanet Science Institute. California Institute of Technology. Retrieved 2018-03-22. ↑ "Kapteyn's b". The Extrasolar Planet Encyclopaedia. Exoplanet.eu. 2015-05-13. Archived from the original on 2017-12-01. Retrieved 2018-03-22. ↑ "Wolf 1061". NASA Exoplanet Science Institute. California Institute of Technology. Retrieved 2018-03-22. ↑ "GJ 674". NASA Exoplanet Science Institute. California Institute of Technology. Retrieved 2018-03-22. ↑ "GJ 674 b". The Extrasolar Planet Encyclopaedia. Exoplanet.eu. 2007-04-25. Archived from the original on 2014-02-10. Retrieved 2014-05-17. ↑ "GJ 687". NASA Exoplanet Science Institute. California Institute of Technology. Retrieved 2018-03-22. ↑ "GJ 876". NASA Exoplanet Science Institute. California Institute of Technology. Retrieved 2018-03-22. ↑ "GJ 832". NASA Exoplanet Science Institute. California Institute of Technology. Retrieved 2018-03-22. ↑ Ma, Bo; Ge, Jian; Muterspaugh, Matthew; Singer, Michael A; Henry, Gregory W; González Hernández, Jonay I; Sithajan, Sirinrat; Jeram, Sarik; Williamson, Michael; Stassun, Keivan; Kimock, Benjamin; Varosi, Frank; Schofield, Sidney; Liu, Jian; Powell, Scott; Cassette, Anthony; Jakeman, Hali; Avner, Louis; Grieves, Nolan; Barnes, Rory; Zhao, Bo; Gilda, Sankalp; Grantham, Jim; Stafford, Greg; Savage, David; Bland, Steve; Ealey, Brent (October 2018). "The first super-Earth detection from the high cadence and high radial velocity precision Dharma Planet Survey". Monthly Notices of the Royal Astronomical Society. 480 (2): 2411–2422. doi:10.1093/mnras/sty1933. ↑ "GJ 3323". NASA Exoplanet Science Institute. California Institute of Technology. Retrieved 2018-03-22. ↑ Butler, R. Paul; Vogt, Steven S.; Laughlin, Gregory; Burt, Jennifer A.; Rivera, Eugenio J.; Tuomi, Mikko; Teske, Johanna; Arriagada, Pamela; Diaz, Matias; Holden, Brad; Keiser, Sandy (12 April 2017). "The LCES HIRES/Keck Precision Radial Velocity Exoplanet Survey". The Astronomical Journal. 153 (5): 208. doi:10.3847/1538-3881/aa66ca. ISSN 1538-3881 . Retrieved 20 November 2018. ↑ Kaminski, A.; Trifonov, T.; Caballero, J. A.; Quirrenbach, A.; Ribas, I.; Reiners, A.; Amado, P. J.; Zechmeister, M.; Dreizler, S.; Perger, M.; Tal-Or, L.; Bonfils, X.; Mayor, M.; Astudillo-Defru, N.; Bauer, F. F.; Béjar, V. J. S.; Cifuentes, C.; Colomé, J.; Cortés-Contreras, M.; Delfosse, X.; Díez-Alonso, E.; Forveille, T.; Guenther, E. W.; Hatzes, A. P.; Henning, Th; Jeffers, S. V.; Kürster, M.; Lafarga, M.; Luque, R.; Mandel, H.; Montes, D.; Morales, J. C.; Passegger, V. M.; Pedraz, S.; Reffert, S.; Sadegi, S.; Schweitzer, A.; Seifert, W.; Stahl, O.; Udry, S. (3 August 2018). "The CARMENES search for exoplanets around M dwarfs. A Neptune-mass planet traversing the habitable zone around HD 180617". arXiv: 1808.01183 [astro-ph.EP]. ↑ "HD 20794". NASA Exoplanet Science Institute. California Institute of Technology. Retrieved 2018-03-22. ↑ "HD 20794 f". The Extrasolar Planet Encyclopaedia. Exoplanet.eu. Archived from the original on 2018-03-20. Retrieved 2018-03-22. ↑ "HD 20794 g". The Extrasolar Planet Encyclopaedia. Exoplanet.eu. Archived from the original on 2018-03-20. Retrieved 2018-03-22. ↑ "GJ 581". NASA Exoplanet Science Institute. California Institute of Technology. Retrieved 2018-03-22. ↑ "GJ 581 d". The Extrasolar Planet Encyclopaedia. Exoplanet.eu. Archived from the original on 2017-12-01. Retrieved 2018-03-22. ↑ "GJ 581 f". The Extrasolar Planet Encyclopaedia. Exoplanet.eu. Archived from the original on 2018-03-20. Retrieved 2018-03-22. ↑ "GJ 581 g". The Extrasolar Planet Encyclopaedia. Exoplanet.eu. Archived from the original on 2018-03-24. Retrieved 2018-03-22. ↑ "GJ 625". NASA Exoplanet Science Institute. California Institute of Technology. Retrieved 2018-03-22. ↑ "HD 219134". NASA Exoplanet Science Institute. California Institute of Technology. Retrieved 2018-03-22. ↑ "HD 219134 e". The Extrasolar Planet Encyclopaedia. Exoplanet.eu. Archived from the original on 2017-12-01. Retrieved 2018-03-22. ↑ "GJ 667 C". NASA Exoplanet Science Institute. California Institute of Technology. Retrieved 2018-03-22. ↑ "GJ 667 C d". The Extrasolar Planet Encyclopaedia. Exoplanet.eu. Archived from the original on 2017-12-01. Retrieved 2018-03-22. ↑ "GJ 667 C h". The Extrasolar Planet Encyclopaedia. Exoplanet.eu. 2016-02-23. Archived from the original on 2017-12-01. Retrieved 2018-03-22. ↑ "Fomalhaut". NASA Exoplanet Science Institute. California Institute of Technology. Retrieved 2018-03-22. ↑ "Fomalhaut b". The Extrasolar Planet Encyclopaedia. Exoplanet.eu. Archived from the original on 2014-04-26. Retrieved 2014-05-17. ↑ Affer, L.; Damasso, M.; Micela, G.; Poretti, E.; Scandariato, G.; Maldonado, J.; Lanza, A. F.; Covino, E.; Rubio, A. Garrido; Hernandez, J. I. Gonzalez; Gratton, R.; Leto, G.; Maggio, A.; Perger, M.; Sozzetti, A.; Mascareno, A. Suarez; Bonomo, A. S.; Borsa, F.; Claudi, R.; Cosentino, R.; Desidera, S.; Molinari, E.; Pedani, M.; Pinamonti, M.; Rebolo, R.; Ribas, I.; Toledo-Padron, B. (16 January 2019). "HADES RV programme with HARPS-N at TNG. X. A super-Earth around the M dwarf Gl686". arXiv:1901.05338 [astro-ph]. Retrieved 20 January 2019. ↑ "61 Vir". NASA Exoplanet Science Institute. California Institute of Technology. Retrieved 2018-03-22. ↑ "HD 192310". NASA Exoplanet Science Institute. California Institute of Technology. Retrieved 2018-03-22. ↑ "GJ 849". NASA Exoplanet Science Institute. California Institute of Technology. Retrieved 2018-03-22. ↑ "GJ 433". NASA Exoplanet Science Institute. California Institute of Technology. Retrieved 2018-03-22. ↑ "HD 102365". NASA Exoplanet Science Institute. California Institute of Technology. Retrieved 2018-03-22. ↑ "HD 285968". NASA Exoplanet Science Institute. California Institute of Technology. Retrieved 2018-03-22. ↑ "GJ 176 c". The Extrasolar Planet Encyclopaedia. Exoplanet.eu. 2010-12-17. Archived from the original on 2014-02-23. Retrieved 2014-05-20. ↑ Lee, Rhodi (2015-09-18). "Want To Name An Exoplanet? Here's Your Chance". Tech Times. Archived from the original on 2015-09-07. Retrieved 2015-09-17. ↑ "alf Cen B b". The Extrasolar Planet Encyclopaedia. Exoplanet.eu. 2011-05-27. Archived from the original on 2014-06-25. Retrieved 2014-05-17. ↑ LePage, Andrew (2015-03-28). "Has Another Planet Been Found Orbiting Alpha Centauri B?". Drew Ex Machina. Archived from the original on 2015-09-29. Retrieved 2015-09-17. ↑ "Lalande 21185 b". The Extrasolar Planet Encyclopaedia. Exoplanet.eu. 2017-02-14. Archived from the original on 2018-03-24. Retrieved 2018-03-23. ↑ "GJ 15 A b". The Extrasolar Planet Encyclopaedia. Exoplanet.eu. Archived from the original on 2016-08-07. Retrieved 2015-01-17. ↑ Trifonov, T; Kürster, M; Zechmeister, M; et al. (2018). "The CARMENES search for exoplanets around M dwarfs". Astronomy & Astrophysics. 609 (117): A117. arXiv: 1710.01595 . Bibcode:2018A&A...609A.117T. doi:10.1051/0004-6361/201731442. ↑ "eps Ind A b". The Extrasolar Planet Encyclopaedia. Exoplanet.eu. 2018-03-29. Archived from the original on 2018-05-11. Retrieved 2018-05-11. ↑ Bartlett, Jennifer L; Ianna, Philip A; Begam, Michael C (2009). "A Search for Astrometric Companions to Stars in the Southern Hemisphere". Publications of the Astronomical Society of the Pacific. 121 (878): 365. Bibcode:2009PASP..121..365B. doi:10.1086/599044. ↑ "HD 26965 b". The Extrasolar Planet Encyclopaedia. Exoplanet.eu. 2018-01-15. Archived from the original on 2018-03-24. Retrieved 2018-03-23. ↑ "GJ 682 b". The Extrasolar Planet Encyclopaedia. Exoplanet.eu. Archived from the original on 2015-04-02. Retrieved 2015-03-30. ↑ "GJ 682 c". The Extrasolar Planet Encyclopaedia. Exoplanet.eu. Archived from the original on 2015-04-02. Retrieved 2015-03-30. ↑ "GJ 229 b". The Extrasolar Planet Encyclopaedia. Exoplanet.eu. 2014-05-25. Archived from the original on 2016-08-07. Retrieved 2015-09-17. ↑ Barnes, J.R.; Jenkins, J. S.; Jones, H. R. A.; et al. (July 2012). "ROPS: A New Search for Habitable Earths in the Southern Sky". Monthly Notices of the Royal Astronomical Society . 424 (1): 591–604. arXiv: 1204.6283 . Bibcode:2012MNRAS.424..591B. doi:10.1111/j.1365-2966.2012.21236.x. ↑ Farihi, J.; Becklin, E. E.; Macintosh, B. A. (June 2004). "Mid-Infrared Observations of van Maanen 2: No Substellar Companion". Astrophysical Journal Letters. 608 (2): L109–L112. arXiv: astro-ph/0405245 . Bibcode:2004ApJ...608L.109F. doi:10.1086/422502. ↑ Heinze, A. N.; Hinz, Philip M.; Sivanandam, Suresh; et al. (May 2010). "Constraints on Long-period Planets from an L'- and M-band Survey of Nearby Sun-like Stars: Observations". The Astrophysical Journal. 714 (2): 1551–1569. arXiv: 1003.5340 . Bibcode:2010ApJ...714.1551H. doi:10.1088/0004-637X/714/2/1551. ↑ "VB 10 b". The Extrasolar Planet Encyclopaedia. Exoplanet.eu. Archived from the original on 2015-09-29. Retrieved 2015-09-17. ↑ Boss, Alan P.; Butler, R. Paul; Hubbard, William B.; et al. (2007). "Working Group on Extrasolar Planets". Proceedings of the International Astronomical Union. 1 (T26A): 183. Bibcode:2007IAUTA..26..183B. doi:10.1017/S1743921306004509. ↑ "SCR 1845 b". The Extrasolar Planet Encyclopaedia. Exoplanet.eu. 2012-04-13. Archived from the original on 2015-10-01. Retrieved 2015-09-17. ↑ "SDSS 141624 b". The Extrasolar Planet Encyclopaedia. Exoplanet.eu. 2010-01-18. Archived from the original on 2014-02-23. Retrieved 2014-05-20. ↑ "WISE 1217+16A b". The Extrasolar Planet Encyclopaedia. Exoplanet.eu. Archived from the original on 2017-06-12. Retrieved 2014-05-17. ↑ Clavin, Whitney; Harrington, J. D. (2014-04-25). "NASA's Spitzer and WISE Telescopes Find Close, Cold Neighbor of Sun". NASA. Archived from the original on 2014-04-26. Retrieved 2015-09-17. ↑ Lucas, P. W.; Tinney, C. G.; Burningham, B.; et al. (2010). "The discovery of a very cool, very nearby brown dwarf in the Galactic plane". Monthly Notices of the Royal Astronomical Society. 408 (1): L56–L60. arXiv: 1004.0317 . Bibcode:2010MNRAS.408L..56L. doi:10.1111/j.1745-3933.2010.00927.x. ↑ Cushing, Michael C.; Kirkpatrick, J. Davy; Gelino, Christopher R.; et al. (2011). "The Discovery of Y Dwarfs using Data from the Wide-field Infrared Survey Explorer (WISE)". The Astrophysical Journal. 743 (1): 50. arXiv: 1108.4678 . Bibcode:2011ApJ...743...50C. doi:10.1088/0004-637X/743/1/50. 1 2 Bortle, John E. (2001). "Light Pollution And Astronomy: The Bortle Dark-Sky Scale". Sky & Telescope. Retrieved 2014-05-20. ↑ "HEC: Periodic Table of Exoplanets". Planetary Habitability Laboratory. University of Puerto Rico at Arecibo. 2014-04-17. Archived from the original on 2014-07-03. Retrieved 2014-05-17. ↑ Johnston, Robert (2014-11-02). "List of Nearby Stars: To 21 light years". Johnstonsarchive.net. Archived from the original on 2015-10-16. Retrieved 2015-09-17. ↑ "epsilon Eridani". NameExoWorlds. International Astronomical Union. Archived from the original on 2018-02-15. Retrieved 2018-05-14. ↑ "Fomalhaut (alpha Piscis Austrini)". Nameexoworlds. International Astronomical Union. Archived from the original on 2017-04-30. Retrieved 2018-05-14. "Extrasolar Planets". The Planetary Society . Planetary.org. "Extrasolar Planets News". Science Daily. "Exoplanet Exploration: Planets Beyond our Solar System". Exoplanet Exploration Program and Jet Propulsion Laboratory . NASA. 2015-12-16. "Universe - Exoplanets (pictures, video, facts & news)". BBC. Archived from the original on 2018-02-13. Retrieved 2018-03-23. "PHL's Exoplanets Catalog". Planetary Habitability Laboratory. UPR Arecibo. 2018-03-02. Onsi Fakhouri. "Exoplanet Orbit Database". Exoplanet Data Explorer . 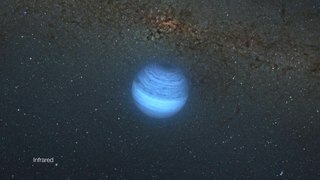 Exoplanets.org.